WASHINGTON (CNS) — Nearly two dozen Catholic entities have joined other investors in urging major oil and natural gas producing companies to oppose the Environmental Protection Agency’s proposed rollback of standards governing greenhouse gas emissions. The letter specifically focuses on an EPA plan to ease the New Source Performance Standards, or NSPS, adopted in 2016. The standards govern production and transmission in the oil and gas industry. The standards set limits on the emission of methane, volatile organic compounds and hazardous air pollutants in energy production. The EPA proposal seeks to ease those limits, citing cost savings to industry. 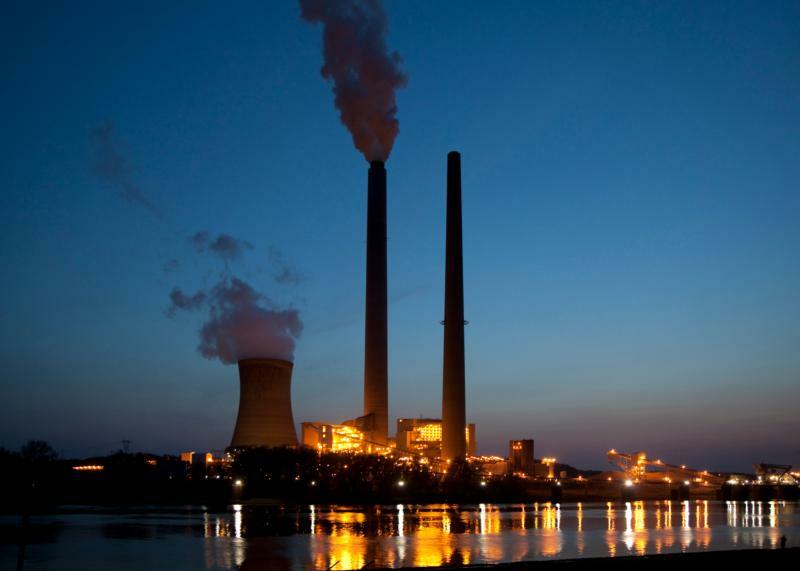 Organizations such as Virginia-based Mercy Investment Services, one of the Catholic signatories to the letter, see the rollbacks not just as financially risky but a threat to the environment as the world struggles to respond to climate change. The shareholders’ concern is that methane is an especially potent greenhouse gas, a class of pollutants that trap heat in the atmosphere. The majority of environmental scientists have pointed to research that shows greenhouse gases are a major contributor to global warming. President Donald Trump’s administration has called for rollbacks of “excessive” environmental regulations, saying they are too costly to industry and would slow the drive to U.S. energy independence. Trump and some members of Congress also have dismissed scientific findings on climate change, saying current global warming is part of a natural cycle that has seen atmospheric temperatures rise and fall over time. The EPA proposed amendments to the NSPS in September. The comment period on them closes Dec. 17, which hastened the ICCR to act. The revisions have been sought primarily by smaller oil and natural gas producers who find the regulations too costly to follow. The amendments affect well construction, natural gas processing plants, storage vessels, and record keeping and reporting. The changes also would reduce the frequency of monitoring of oil and gas infrastructure, including pipelines and compressor stations, for leaks. The EPA estimated that the amended standards would result in up to an additional 380,000 tons of methane, 100,000 tons of volatile organic compounds and 3,800 tons of hazardous air pollutants being released into the atmosphere at a cost of $13.5 million in foregone climate benefits from 2019 to 2025. During the same period, the proposals would save industry as much as $380 million in monitoring and construction costs, according to EPA estimates. The ICCR shareholders called on the companies to publicly and privately support direct methane regulation by the EPA and oppose elimination of the regulations. They also stressed the need for the energy producers to submit comments to the EPA opposing the rollbacks by the Dec. 17 deadline. The investors stressed that national emission standards are necessary because of the large number of companies — more than 600 — involved in oil and gas production. “We believe that strong but fair regulations are critical to ensuring the ongoing viability of the oil and gas sector in the energy transition. We would like to hear the companies in our portfolios publicly support a similar position,” the shareholders wrote. The letter pointed to Colorado and California where the current federal regulations to reduce methane leakage have proven effective. Among the firms receiving the letter were Anadarko Petroleum, ConocoPhillips, ExxonMobil and Kinder Morgan. ICCR said the firms were chosen because of their efforts to operate profitably under the stricter standards. Minette told Catholic News Service Dec. 6 that she had heard from one company wanting to discuss the letter and was expecting to hear from others. She also said that the shareholders, as part owners of the energy firms, want to be sure they are heard on the issue. Among the letter’s signers were the leadership team of the Felician Sisters of North America, Maryknoll Sisters, Sisters of Bon Secours USA, Sisters of St. Francis of Philadelphia, Corporate Responsibility Office of the Province of St. Joseph of the Capuchin Order, and regional networks of investors including Seventh Generation Interfaith in Milwaukee, Northwest Coalition for Responsible Investment in Seattle and Tri-State Coalition for Responsible Investment in New Jersey.